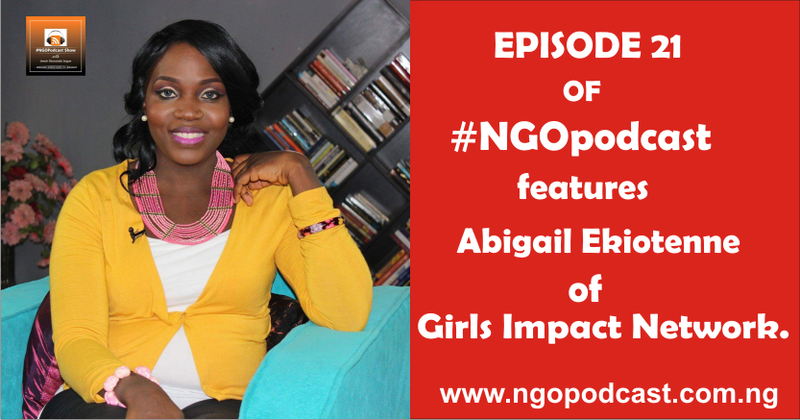 The episode 20th featured Abigail Ekiotenne,founder & CEO of Girls Impact Network, a non governmental that focuses on empowering girls child and reducing the rate of girls child abuse in Africa. The recent increases in the different forms of child abuse, exploitation and suffering in Africa is extremely distressing. Under the disguise of tradition and poverty, African children continue to be exploited, oppressed and abused by so-called adults whose job it is to protect them. With that being said, this act of girls child abuse have captured the attention of governments, institutions, and organizations like the United Nations, Non-Governmental Organizations (NGOs), and Civil Society Organizations (CSOs), of which Frantic efforts are being made to arrest and proffer solution to this problem. Out of the non-governmental organization doing trying and working ceaselessly to address this issue is Girls Impact Network and they focuses on teaching values and morals, media literacy, self-esteem and leadership. They believe that through mentoring, girls can reach their highest potentials. Abigail tell us more about the organization!